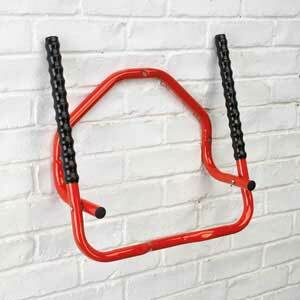 Wall mounted cycle hanging rack with folding arms. 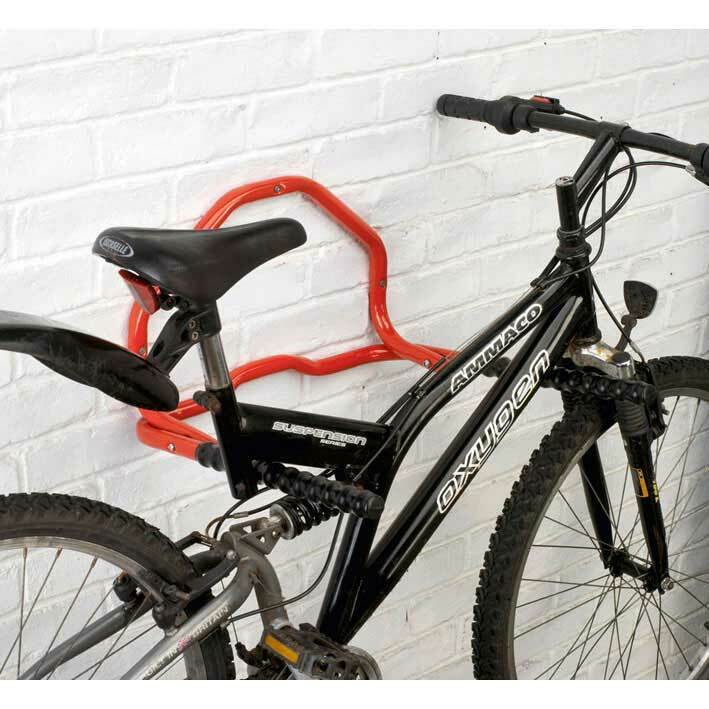 In areas where space is at a premium it is essential that where possible, you make use of all the space available, this lightweight but durable bicycle rack is designed to be mounted to any solid wall. Mount this cycle rack at ground level or further up a wall to create an additional storage location for any type of bike. With a maximum weight capacity of 40kg and the average heavy duty mountain bike weighing up to 19kg. 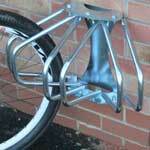 This cycle rack can easily support up to two bikes. 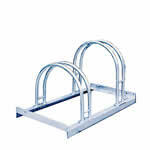 We do however recommend that no more than two bikes are stored on this rack at any one time. 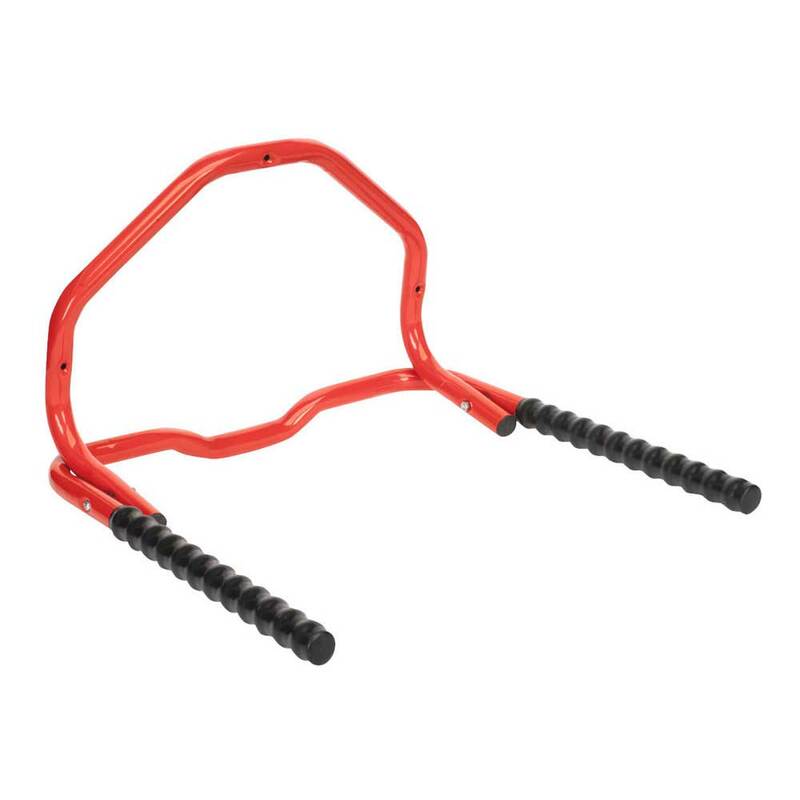 The BWTFWAL is fitted with two folding arms that can be raised when the rack isn't in use. A. No, unfortunately there wouldn't be room for a lock. You could however also attached a separate eye hook close by to secure your bike lock too?